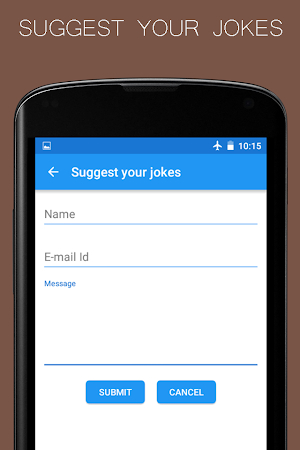 Gujarati Jokes application is full of fun and entertainment. 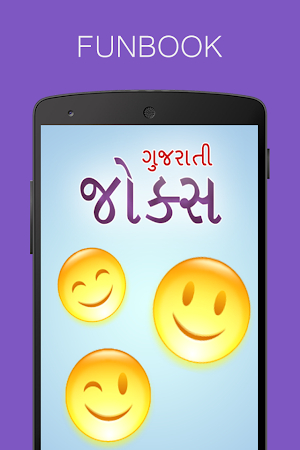 This app contains hundreds of unique Gujju jokes. All Jokes are totally new and regularly updating. Enjoy lots of fun with app. Key Features: - Read all new and fresh Jokes. - Share with your friends on Facebook. - Tweet Jokes on Twitter. - E-Mail to your Friends. - Message (SMS) to your mobile Contacts. This application is completely safe for downloading. SunriseTechnoSoft is the developer of the app which can be found in the Entertainment category. 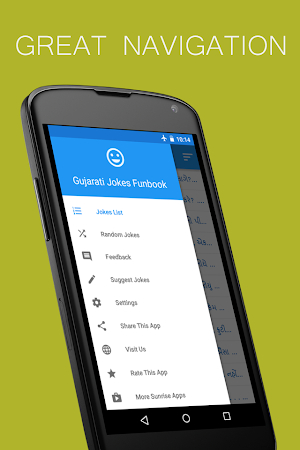 According to the latest info, Gujarati Jokes Funbook is rated 4.2 on Google Play. 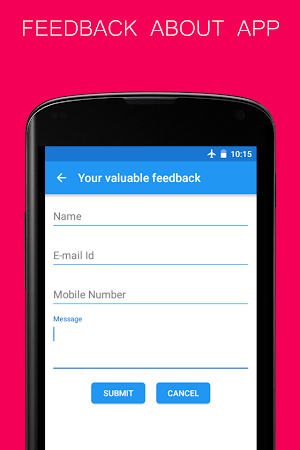 The latest update of the app was released on Sep 20, 2015 and this application has been installed by over 10K users. There are ads in Gujarati Jokes Funbook. The statistics reveal that this application is popular mostly among Samsung and Lenovo users. 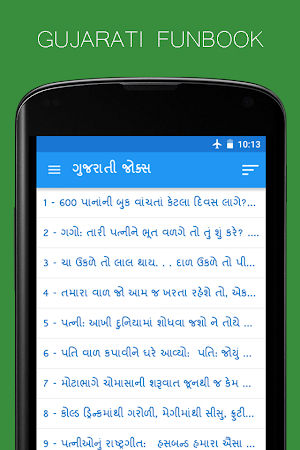 Download the installation package of Gujarati Jokes Funbook 2.0 that is completely free of charge and read users' reviews on Droid Informer. The app runs flawlessly on Android 2.3 and above. It is the best quote, status and sayings app. Made with for Lovely Gujarati People. Huge collection of popular jokes. Hindi Recipes is a superb app for cooking lovers. Akbar-Birbal Story application is a superb story Book in Hindi. Akbar-Birbal Story application is a superb story Book in Gujarati . Varada Hanumanji app is all about to varada hanumanji. Marathi Recipes is one of the best apps for cooking lovers.